Bacon, Cheese, Potato, and Egg Casserole – this easy and delicious breakfast casserole is packed with bacon, cheese, and hash browns! 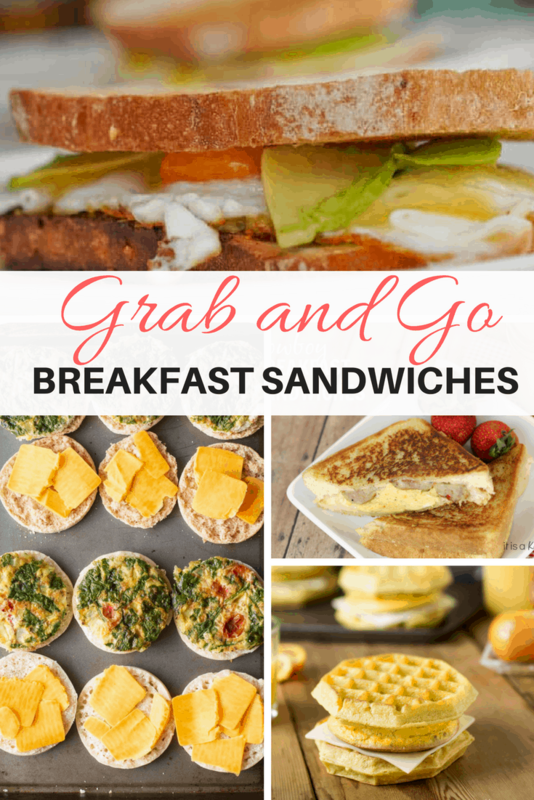 It can be prepared ahead of time and baked just before serving. 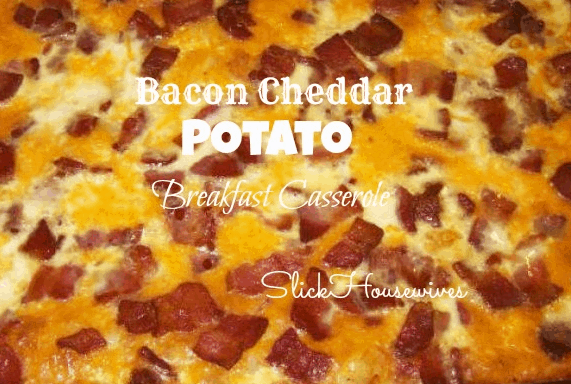 I truly love how easy this Bacon Cheddar Potato Breakfast Casserole is to make! 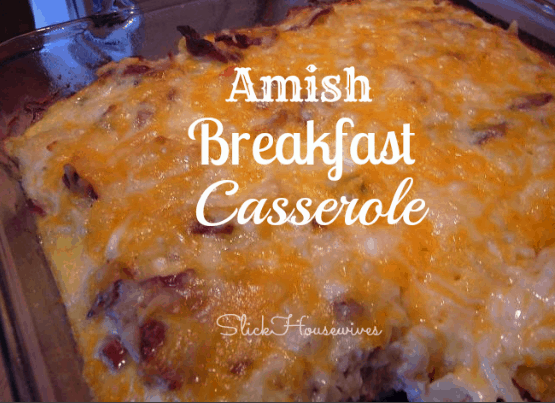 Here is another tasty Breakfast Casserole that you can make the day of or ahead of time if you would like. This is one of my favorites!! Bacon Cheddar Potato Breakfast Casserole! It’s very yummy but watch your serving size, because I’m not sure how many calories are in it! While oven is preheating to 350 degrees, grease an 8 inch square baking dish. In the greased baking dish, layer 1/2 potatoes, 1/2 bacon, 1/2 onion and 1/2 cheese and continue with layers until those ingredients are gone. In a small mixing bowl, combine the egg, milk and seasoned salt, then evenly pour over the potato mixture. Cover and bake for 60 minutes, then uncover and bake for 5 more minutes. Before serving, let stand 10-15 minutes. YUM! I cannot wait to try this! I would say 4-6 depending on portion size.